The characters on The Help are an interesting assortment of women of all ages. After I finished reading the book, I was thrilled to discover these video character profiles of each of the main characters in the movie. I hope you enjoy them, too. First, up is Skeeter. Skeeter is the young lady who has just graduated from journalism school and who wants to become a journalist, a feat not so easily accomplished in the 1960s so she takes her first job writing a cleaning column although she knows nothing about cleaning. She eventually decides to write the story of the maids of Jackson, Mississippi. Next up is Aibileen, one of the two main maids in the movie. She is going through life, getting by until she finds a new interest in sharing her life stories on paper. Then there is Minnie, the other maid who plays a huge role in this movie. Minnie is a very strong woman who decides to help Skeeter and Aibileen write the book. She has no problem saying what is on her mind. Finally, we have Hilly. Hilly is the president of the women's association in Jackson, Mississippi. She's a strong personality of another sort - used to getting her way and having people follow whatever she does. She's also backward thinking; she wants things to stay as they are rather than have things go forward and improve. Of course, this is a story with many important characters. To fully appreciate them, you should read the book and watch the movie. Buy your copy of The Help on Amazon. The Help is a 2011 movie adaptation of the book of the same name by Kathryn Stockett. The story is that of a white woman who develops a relationship with two black maids in the early 1960s. It stars Emma Stone, Viola Davis, Octavia Spencer, Bryce Dallas Howard, Jessica Chastain, Sissy Spacek, Mike Vogel and Allison Janney. I have not seen the movie yet but I have read the book, and I can highly recommend it. The movie is on my MUST SEE list. To read more about what other people are thinking of the movie, click here. If you are curious about the movie or even if you have seen it, you will enjoy these video featurettes, which include the official movie trailer PLUS two more that talk about the making of the movie -- the official featurette and an unofficial video that shares the story of how they turned Jackson, Mississippi back into the 1960s for The Help. I finally read the book and I, like fans of the book am now anxious to see the movie but the wait is going to be a long one...I just read the official release date of The Hunger Games movie is November 22, 2013. Oops, make that March 23, 2012 -- apparently, the November date is for the next movie, Catching Fire. That's a year LONGER than I read previously. How are we EVER going to manage to wait that long? Any ideas, besides re-reading the book, that is? Fans are going to be desparately consuming every bit of information that is released about the new movie. Hope that won't ruin the movie in the end. What's All The Fuss About the 2012 Hunger Games Movie. Buy The Hunger Games books on sale on Amazon. First let me say that I haven't seen The Help yet. However, the reviews are pleasant enough saying that the movie is enjoyable but safe. Roger Ebert acknowledges that the book The Help (by Kathryn Stockett) has a lot of loyal readers who may have been imagining the movie exactly as it was made. He calls it entertaining and praises the actors from Viola Davis to Octavia Spencer to Emma Stone, Bryce Dallas Howard and Alison Janney. He does suggest that they would have "benefitted from a more fearless screenplay." Ebert gives the movie three stars. My local paper this morning says that the movie is unfortunately "burdened by cliche" but saved by the stars. Katharine Monk says it is exactly what one expects from Hollywood, choosing the words "familiar and predictable" but calling it enjoyable. Monk also gave the movie three stars. One of my favorite reviewers, Nell Minnow who writes as The Movie Mom, calls the movie one of the best dramas of the year, saying that the movie "engages with its sensitive subject matter humbly and sincerely." She gives it a score of B+. Having benefited from these reviews, The Help is still on my list. I'm not sure when I will get to see it though, given the fact that the next movie we see at the movie theatre will likely be Cowboys and Aliens since it is my husband's turn to pick. Have you seen The Help? What did you think? Read Roger Ebert's review of The Help. 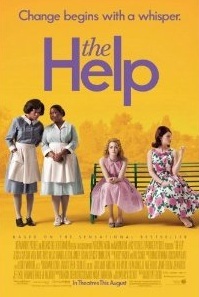 Read The Ottawa Citizen's review of The Help. Read The Movie Mom's review of The Help. Buy the book The Help from Amazon. 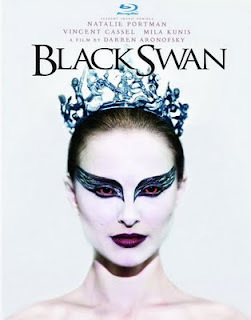 Black Swan was an amazing movie. You can certainly see why Natalie Portman won the Acadamey Award for Best Actress in a Leading Role. She was impressive. The story was good, too. I would highly recommend this movie EXCEPT for the fact that the disturbing bits were, well, extremely disturbing. If you watch the trailer (you can see it here), and you are uncomfortable with the worst parts, take that as a warning that this movie may not be for you. The choice is up to you. If you choose not to watch it you will, however, be missing what may be one of the best movies of the year. Blu-ray or DVD? Well, putting it simply, Blu-ray.com says that it is a must own on blu-ray, calling it "one of the best films of 2010, a dark, lurid psychosexual drama that plumbs the depths of artistic desperation." Order your copy of Black Swan from Amazon. 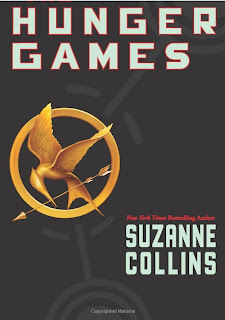 I have just finished reading The Hunger Games and I must say that I was totally impressed and quite enjoyed it. The book is a young adult novel and as such an easy read. It flows very nicely and has great character development. Now I must put my hands on a copy of the second book by Suzanne Collins, Catching Fire and then, the third one, Mockingjay. Finally, of course, I will have to wait until 2012 for the release of the movie version of The Hunger Games and that, of course, seems like an eternity right now. How about you? Have you read the first book? All of the books? Are you anxious for the movie? Are you following all the movie news as it happens? Are you HUNGRY for The Hunger Games movie? Turns out that the coffee beans used to make Kopi Luwak coffee (some also call it poop coffee) are a result of a process that involves a critter called an Asian Palm Civet consuming the berries from the coffee plant, digesting them and defacating them. Rather simple and apparently the digestion process, which leaves the berries entact, changes the nature of the coffee been making it smooth, nutty and some even say, ah, earthy. Now I have more than one reason to want to see The Bucket List -- I understand it is a very good movie, I love Jack Nicholson AND I am curious about the coffee. Have you seen the movie? Would you recommend it and, possibly more important given the context of this post, have you ever had Kopi Luwak coffee? Click here to read more about Kopi Luwak coffee on Amazon. What Is Kopi Luwak Coffee? Martin Scorsese is preparing to bring to the big screen a biopic about the love affair between Elizabeth Taylor and Richard Burton. A biopic movie is one that is ABOUT someone's life, in this case, about Taylor and her love affair with Burton. The movie is based on a book called Furious Love, which was written by Sam Kashner and Nancy Schoenberger. It is said that Taylor did not authorize any of the books that were written about her but that she worked with these authors by sharing the love letters that she exchanged with Burton. I have seen all kinds of names mentioned with regard to who could play Elizabeth Taylor including Natalie Portman, Angelina Jolie and Catherine Zeta Jones. I guess we'll just have to wait for more news in that regard. 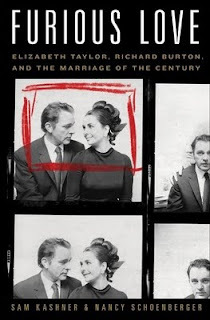 Meanwhile, if you want to know more, pick up a copy of this book, which shares in great detail information about the working and personal lives of one of Hollywood's most famous couples. Buy Furious Love from Amazon. Read more about Furious Love, the movie. I told him that I was watching the trailer for the new Tintin movie that Steven Spielberg and Peter Jackson are doing and my husband's eyebrow went up a tiny bit higher. He commented that it seemed a bit odd for Spielberg to be doing an animated movie so I went looking to find out why Spielberg is bringing Tintin to the movie screens this year. It turned out that the answer to that question is fairly simple and straightforward. Steven Spielberg became a strong fan of The Adventures of Tintin comic books when he read about them in a review that compared Raiders of the Lost Ark to Tintin. He was presented with a set of the French books and it did not matter that he could not understand the words. He fell in love with the artwork. Michael Farr, author of the book Tintin: The Complete Companion said that Spielberg was the only one who could bring the books to life. Let’s hope that Farr was right and that Steven Spielberg pleases the Tintin fans. Until then, I am going to get my hands on a copy of the book and see what Tintin is all about. 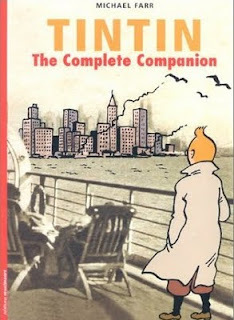 Order your copy of Tintin: The Complete Companion from Amazon.